The 26th edition of SATTE is set to gather Indian & international exhibitors and buyers to forge new partnership and strengthen business. 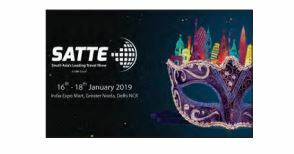 UBM India, the organiser of SATTE has taken a decision to shift the 2019 and 2020 editions of the show to India Expo Centre, Greater Noida because of redevelopment of Pragati Maidan . Its Silver Jubilee edition in 2018, SATTE registered record growth in the businesses of travel, tourism and hospitality arena from both, India and overseas market. OTM, organised by Fairfest Media Ltd., is held every year in Mumbai – the gateway to India’s largest travel market. OTM 2018 registered 15,000+ trade visitors from all over India and abroad, including hundreds of hosted buyers with pre-scheduled appointments. 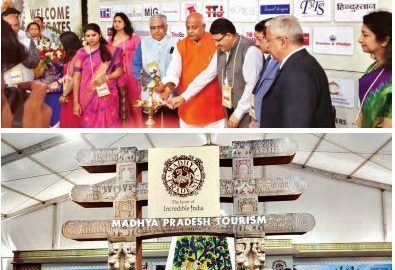 OTM 2019 is expected to attract international gathering of travel trade buyers and professionals in India with co-located multi-faceted events like Cine Locales, Cruise Hub, Top Producers Awards and many more. 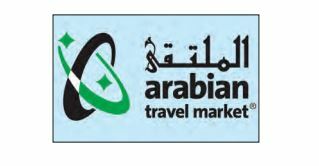 ATM Dubai is the leading, international travel and tourism event unlocking business potential within the Middle East for inbound and outbound tourism professionals. Tourism destinations from around the world showcase a diverse range of accommodation options, breath taking tourism attractions, travel technology and key airline routes.